Courtesy of Mansi Totwani Loyola junior Lavita Totwani’s St. Thomas family home survived Hurricane Irma, but her parents’ tourist jewelry shop has lost customers since tourists can no longer reach the shop. She said she’s worried about how her parents will be able to pay for her and her sister’s tuition since their finances will suffer a loss from Irma. 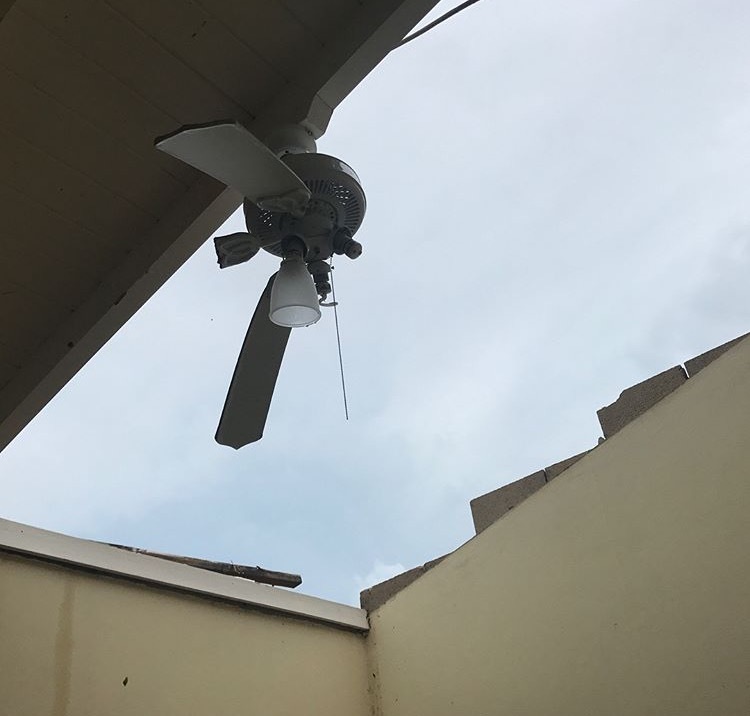 Courtesy of Mansi Totwani Winds from Irma ripped the roof off Mansi Totwani's home. Courtesy of Mansi Totwani Pieces of debris litter Mansi Totwani's pool in the aftermath of the Category 5 Hurricane Irma. Courtesy of Lavita Totwani Donations for Irma relief in the Virgin Islands are accepted at boxes in Sullivan Center and in Damen Student Center room 238. Courtesy of Lavita Totwani Irma downed trees and blocked Totwani's driveway at home. Irma, one of the most powerful hurricanes in recorded history, has affected several members of the Loyola community. Before Hurricane Irma made landfall in the Florida Keys as a powerful Category 4 hurricane on Sept. 10, bringing with it up to 142 mph winds, it passed over the Caribbean islands as a Category 5, leaving devastation in its wake. Close to 60 people were reported dead in Florida, Georgia, South Carolina and across the islands. 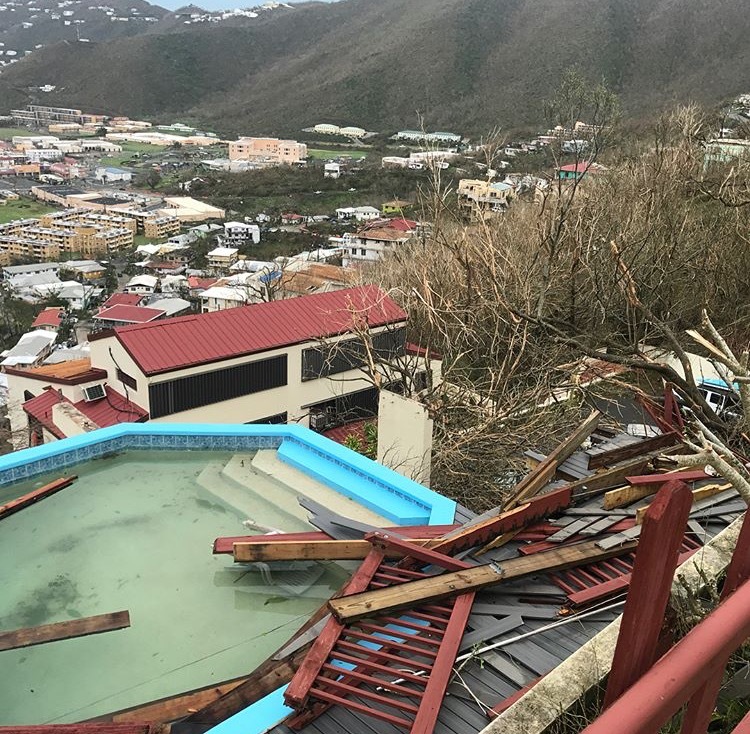 The only airport on St. Thomas was severely damaged and nearly 2,000 tourists were evacuated as Irma ripped through the U.S. Virgin Islands. 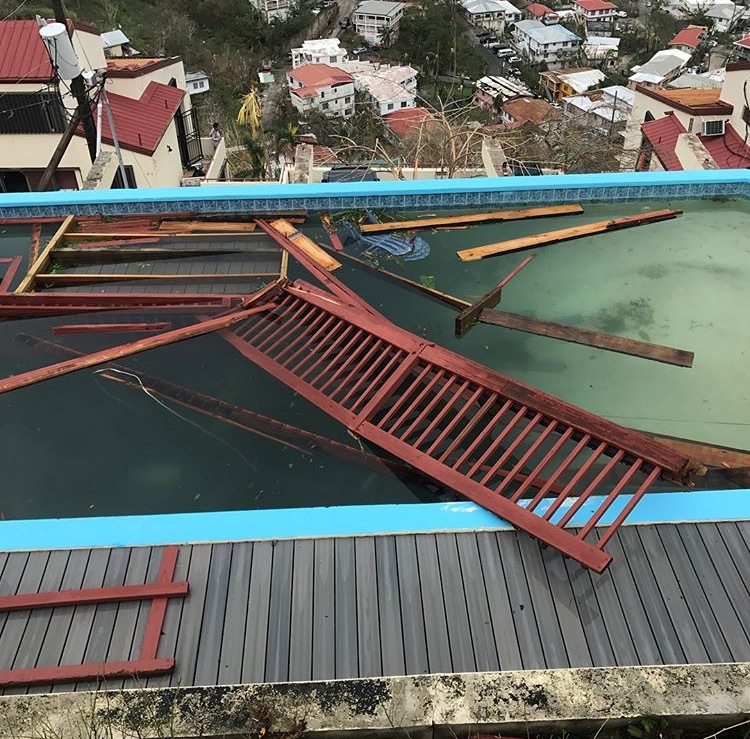 Camren Bunn, a 19-year-old sophomore, said his home on St. Thomas in the U.S. Virgin Islands survived Irma, but the hurricane left an emotional impact. Lavita Totwani’s St. Thomas home weathered the storm, sustaining only minor damages. Her parents’ duty-free jewelry shop — which she said draws in customers from across the continental United States — is now essentially useless because tourists cannot reach the island via plane. Tourism accounts for more than half of the Virgin Islands’ gross domestic product, according to a 2016 study by the World Travel and Tourism Council. Without a job or livelihood for the foreseeable few months, the 19-year-old Loyola junior is worried about her parents’ ability to afford tuition for her and her sister. 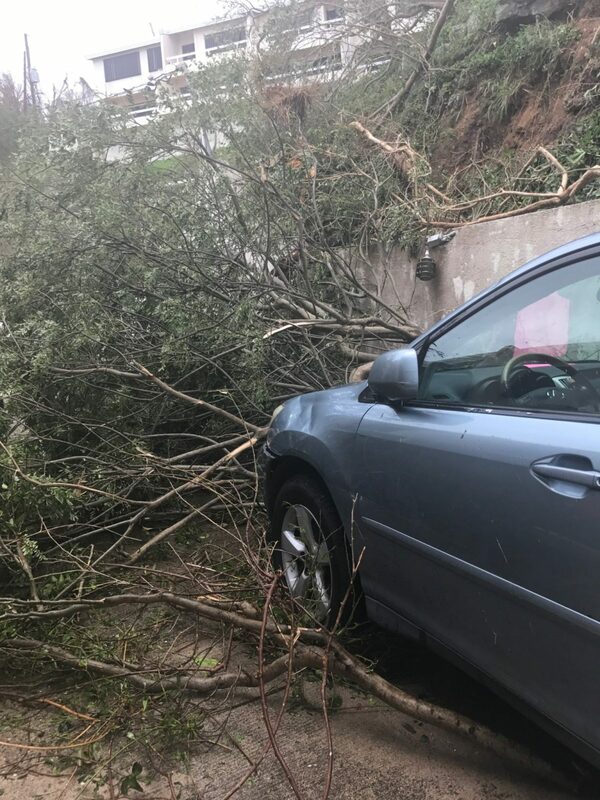 “Last time [a hurricane] happened … [my parents] didn’t have three kids to worry about,” the finance and accounting double major said. Bunn said the lack of tourists means his parents will also be without work for a few months. Bunn’s father owns a museum and his mother sells advertisements for a local radio station. After Irma decimated telephone lines and cell phone towers on St. Thomas, Totwani was cut off from contact with her parents — plus her other three dozen family members on the island — for three days, leaving her anxious and unable to focus on her schoolwork. 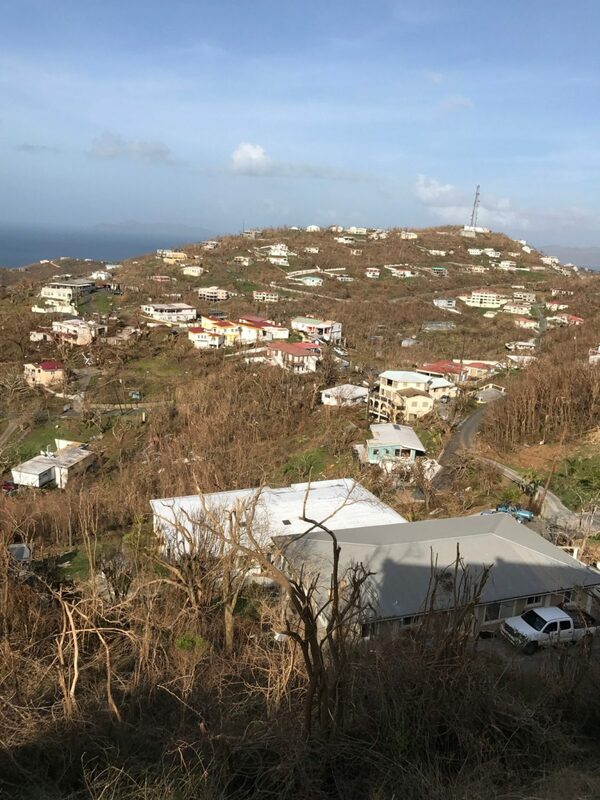 After looting and violence erupted on the Virgin Islands as food and water became scarce, a curfew was implemented by local officials on Sept. 8. To address her financial worries, Totwani said she contacted Loyola’s Office of the Bursar, which she said offered her various resources. Totwani said she’s more concerned, however, with the help her hometown will need. Loyola professor Stephen Mitten, S.J., lived in the small, Central American nation of Belize for nearly seven years and experienced five hurricanes during his time there. Although the aftermath in Belize wasn’t nearly as severe as Irma’s, he said he could foresee the same issues there concerning relief efforts as in Belize. While Florida seems to have been spared the brunt of Irma’s original Category 5 landfall forecast, the storm still packed a punch. Irma collapsed three construction cranes in the Miami area, Jacksonville, Florida, has been inundated with floodwaters since Sept. 11 and an estimated 25 percent of Florida Keys homes are gone, according to the Federal Emergency Management Agency. Michael Martínez, S.J., a third-year graduate student in Loyola’s Jesuit First Studies program, is from Miami and a member of the Jesuit Antilles province, which covers Miami, Cuba and the Dominican Republic. Martínez said he has not only been worried about his parents back home, but also for his cousins in Cuba. Irma struck Havana, Cuba on Sept. 9 as a Category 5 storm and left 10 people dead. Martínez said his parents in Miami were without power, but they were better off than his Cuban cousins. Martínez said the aftermath in Florida left him with mixed feelings. Irma made a second landfall near Marco Island on Florida’s west coast as a Category 3 hurricane Sunday evening, bringing with it a three to four foot storm surge, according to local officials. By Sept. 12, Irma — having downgraded to a tropical depression — brought massive storm surge to coastal communities such as Charleston, South Carolina and parts of Georgia. More than five million Florida residents were without power by Tuesday — half the state — after an estimated seven million people evacuated the state ahead of the storm. Residents who couldn’t afford to drive out of Florida or leave their workplace for a span of days stayed behind despite warnings from state officials. Junior Erna Roth, from Cape Canaveral, Florida, said her parents were one of the millions who ignored evacuation warnings. They operate a small newspaper business, and she said they couldn’t afford to shut down even for a day and evacuate. Roth said her parents left their home to go five miles inland on Sunday. They spent the night in their newspaper office until they returned home Monday to find everything okay. 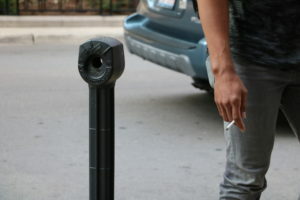 With friends all over the state, however, Roth said she’s concerned about their safety. Donation boxes for Irma relief efforts in the Virgin Islands are set up inside Sullivan Center and in the Hindu Students’ Organization Puja Room in Damen Student Center Room 238. A letter of care and concern from the university was also sent out to students affected by Irma from the Caribbean and Florida, according to Lisa Reiter, director of campus ministry.